Great Smoky Mountains National Park officials announced the completion of a solar energy project at Cades Cove that will annually reduce greenhouse gas emissions by 23 tons and reduce fuel costs by $14,000. Formerly, the park used a diesel-fuel generator for power at the site which often caused noise disruptions to park programs and the visitor experience to the historic landscape. The newly installed solar array includes 80 panels that provide a silent energy source to serve the small visitor center, bookstore, and restroom facility in the Cable Mill area. The panels are located behind the restroom in an area that receives maximum exposure from both morning and afternoon sun. A low berm planted with native vegetation was created around the array to minimize the visual intrusion on the historic landscape and the area’s natural beauty. Cades Cove receives approximately 2 million visitors per year. Many of these visitors stop at the Cable Mill area to visit the exhibit of historic structures assembled there. Given its remote location at the west end of Cades Cove, the Cable Mill area is off the commercial power grid and all power must be generated on site. The Southeast Region of the National Park Service provided the funding for this project. The work was completed by Solar Power Integrators, a veteran-owned company. 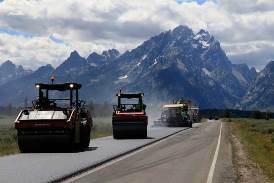 For more information on sustainable projects across the National Park Service, please visit https://www.nps.gov/subjects/sustainability/be-energy-smart.htm. The National Park Service invites the public to attend the 2018 Blue Ridge Parkway Season Preview, a showcase of upcoming Parkway activities and projects. The event takes place on Wednesday, February 28, 2018, from 4:00 to 7:00 p.m. at the Folk Art Center, Milepost 382, on the Parkway. Parkway staff will provide a “behind the scenes” look into projects and operations to promote awareness and understanding among Parkway communities, neighbors and visitors of the National Park Service’s stewardship mission. The event will highlight over 20 initiatives organized into information stations. Park staff will be available at each station to answer questions and discuss projects such as restoration of historic facilities including Manor House and Bluffs Coffee Shop, upcoming pavement preservation projects, vista management, resource education initiatives, and more. Representatives from Parkway partner groups including the Blue Ridge National Heritage Area, Blue Ridge Parkway Foundation, Friends of the Blue Ridge Parkway and other non-profits who support the Parkway will also be on hand to discuss the roles each group plays and how to get involved in this work. 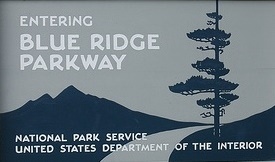 The Blue Ridge Parkway’s mission, as one of over 400 units of the National Park Service, is to protect a vast array of natural and cultural resources across the park while at the same time providing opportunities for education, enjoyment and inspiration for this and future generations. In order to maintain and manage these resources, numerous projects are identified and implemented each year across the 469-mile Parkway. The February 28 event invites the public to share in this stewardship mission. Effective immediately, a landslide caused by recent heavy rains has resulted in an emergency closure of the access route to Big Creek boat launch and picnic area to all public and unauthorized traffic. This closure is conducted in the interest of public safety and to ensure park staff are able to concentrate completely on making necessary repairs. The closure to the area is temporary and expected to reopen for public use Saturday, February 24, 2018. The Appalachian Trail Conservancy (ATC) has received a significant donation from The Volgenau Foundation to work with communities toward the protection of lands, waters and unique cultural features of the most important landscape east of the Mississippi, the Appalachian National Scenic Trail (A.T.) and its surrounding lands. “The Volgenau Foundation has established leadership in recognizing the vital and timely need to make certain that the Appalachian Trail, one of America’s great icons, and surrounding lands are preserved for generations to come,” said Suzanne Dixon, president and CEO of the ATC. The Foundation's investment will support the A.T. Landscape Partnership, a dedicated coalition of local, state and federal partners led by the ATC and the National Park Service. This coalition works to educate and engage Appalachian communities to protect a high quality of life and to support recreation-based rural economies. Noted for being one of the longest footpaths in the world, the A.T. extends 2,191 miles along the crest of the Appalachian Mountain Range through 14 states from Maine to Georgia. The natural, historic and cultural resources of the Trail corridor and adjacent lands are essential to millions of residents in the eastern United States. These landscapes are important for sustaining clean water and air, maintaining wildlife migration patterns and preserving our country’s cultural and historic resources. More than half of America’s population resides within a day’s drive of some part of the A.T. and visitors travel from around the world to experience a hike through the Appalachian Mountains. Hundreds of communities along the Trail benefit from strong and healthy recreation-driven travel, with more than 3 million people visiting the A.T. every year. The Volgenau Foundation was launched in 1994 to pursue greater protection for natural resources, better education opportunities for children and greater exposure to the arts. Friends of the Smokies gathered for the 15th annual Evergreen Ball at Cherokee Country Club on Saturday, January 27th to celebrate Great Smoky Mountains National Park (GSMNP) in grand style. This year’s black-tie gala has raised more than $700,000 for the park’s annual needs. The fundraiser featured a silent auction, wine auction, and live auction with more than 500 items, including one-of-a-kind experiences and vacation packages to HGTV’s Dream Home in Gig Harbor, Washington and the Grand Canyon. The evening’s program was emceed by WBIR anchors Abby Ham and John Becker, and included welcome messages by board chairman Rev. Dr. Dan Matthews and GSMNP Superintendent Cassius Cash. The evening also featured live music from The Music City Toppers. Money raised from the event will also help to support education, conservation, historic preservation and wildlife protection programs in GSMNP. This special event also kicked off celebrations of Friends of the Smokies’ 25th anniversary. The organization has raised more than $60 million in support of GSMNP since it was founded in 1993. A portion of the proceeds raised at the 2018 Evergreen Ball will go towards Friends of the Smokies’ 25th anniversary signature project – a campaign to replace the Park’s emergency radio system. The fundraising goal of $1.25 million will be matched by federal funding and grants for a total of $2.5 million needed to replace the aging communication system. State parks and recreation areas welcomed 19.4 million visitors in 2017, a 3.4 percent increase over the 18.8 million who came during 2016. It was the fourth consecutive year of record visitation. Among 39 state parks and recreation areas, 27 reported increases in visitation in 2017. Jockeys Ridge State Park in Dare County reported the greatest visitation at 1.56 million, and was among six state park units logging more than a million visitors. The others were Fort Macon and William B. Umstead State Parks and Falls Lake, Jordan Lake and Kerr Lake State Recreation Areas. Six other state park units had more than 750,000 visitors including Lake Norman State Park, which crept closer to a million this year with more than 962,000 visitors. North Carolina State Parks strive to focus on the quality of each visit above the quantity, according to Department of Natural and Cultural Resources Secretary Susi H. Hamilton. Visitation at state parks and state recreation areas has increased more than 44 percent during the last decade. In 2007, 13.5 million people visited a state park unit—6 million fewer than last year. Following the system’s Centennial year in 2016, North Carolina State Parks engaged visitors with its Passport and 100-Mile Challenge programs, which promote a healthy, active lifestyle through goal-setting and accountability. Parks officials attribute the continued increase in visitation to new trails, improvements in parks and greater public awareness brought on by a more aggressive social media effort. The uptick in enjoyment of the parks further confirms the wisdom of including State Parks in the Connect NC Bond initiative approved by voters in March 2016. Using those funds, the Division of Parks and Recreation will add new campgrounds, visitor centers, and additional conveniences to parks, as well as acquiring new lands across the state. State parks reporting significant increases in visitation included Medoc Mountain State Park in Halifax County (40 percent), Eno River State Park in Orange County (31 percent), Carolina Beach State Park in New Hanover County (21 percent), Haw River State Park in Guilford and Rockingham Counties (19 percent) and Jockey’s Ridge State Park in Dare County (19 percent). On December 04, 2017 a juvenile black bear, which was seriously injured by a motor vehicle four months prior, was returned to Big South Fork National River and Recreation Area. Due to the release of the bear in a remote area of the park, during evening hours, this activity was not open to the public. On August 18, park visitors reported an injured bear on the road, near Bandy Creek Visitor Center. Upon reaching the site, National Park Service (NPS) staff found the injured six-month-old bear. A subsequent check confirmed that the bear had several broken bones, but no fatal injuries from a motor vehicle collision. 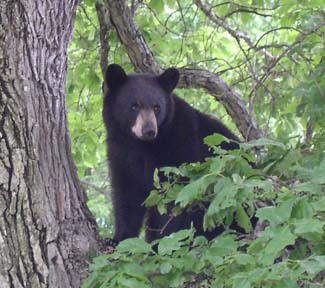 NPS staff anesthetized, then transported the cub to University of Tennessee for examination and surgery. The bear was transferred to a rehabilitation facility, and was cared for with minimal human contact, where it gained over 100 pounds. When released, the young bear was healthy and had completely healed from its injuries. "Although this accident ended on a high note, vehicular collisions with wildlife often do not. This event serves as a cautionary reminder to motorists to be alert for the presence of wildlife on or along the roadways, especially during the low light conditions between dusk and dawn," said Superintendent Niki Stephanie Nicholas. Get up and get moving in 2018! Join in the fun and participate in Big South Fork National River and Recreation Area’s new all-inclusive GO BIG 2018 Challenge. 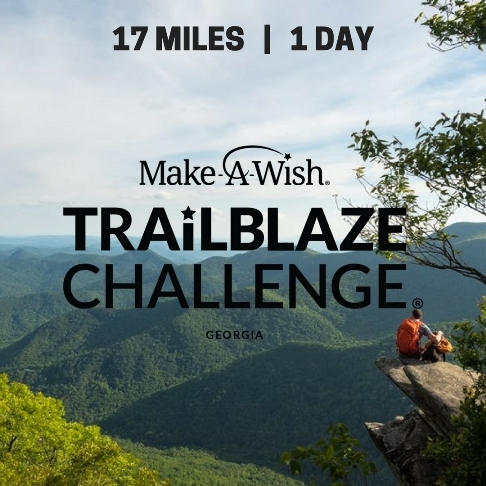 This year-long self-paced challenge was designed to encourage ALL visitors to explore and experience Big South Fork while maintaining a healthy lifestyle, reducing stress, and being physically active. Until December 8, participants will earn points on the honor system by answering questions about the nature and history of the park that will require exploration in search of site-specific information. Points will also be given for miles hiked, biked, paddled, or equestrian-ridden. All participants who earn at least 100 points are eligible for the GO BIG 2018 Challenge patch that was specially designed for this event. For more information, and to download the challenge booklet, please click here. You can also pick up the booklet at Bandy Creek Visitor Center. The challenge booklet is broken up into five different challenge categories. Pick and choose the challenges that are right for you or choose to do them all! The challenge will wrap up on December 8 at 10 AM (ET) with a GO BIG celebration. All visitors that participate in the challenge and are present will be recognized for their accomplishments and considered for an award in various categories. Trails Forever Nominated for Public Lands Award - They Need Your Help! 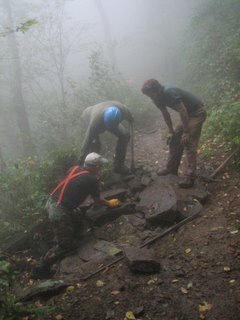 The Trails Forever program, a $5 million+ endowment that funds a full-time trail crew in Great Smoky Mountains National Park, has just been nominated for an Outstanding Public Engagement award. However, they need your vote to actually win the award! Voting for the award is open to the public (18+) until February 28, when the winners will be announced at the Public Lands Alliance awards ceremony. You will need to provide your email address or login via Facebook to vote (one vote per email address). Simply click here to cast your vote today, then forward this blog to your friends and family to help spread the word! Hike to help your national park this year through Friends of the Smokies’ eighth annual Classic Hikes of the Smokies series. Monthly guided day hikes of varying length and difficulty raise money for the Trails Forever endowment to help maintain the nearly 900 miles of trails in Great Smoky Mountains National Park. Mountain vistas, historic structures, wildflowers, and waterfalls are just a few of the highlights participants can expect, as well as the opportunity to see up close the impact of the restoration work done by the Trails Forever crew. The first Classic Hike of 2018 is Tuesday, March 13th at the Deep Creek area of the park near Bryson City. The hike is an easy 5.5-mile loop and includes stops at three waterfalls. Gracia Slater, two-time member of the Smokies 900-mile club and dedicated trail caretaker, will lead. “When Friends of the Smokies asked me to lead a hike in Smokemont in April 2011, I could not imagine that the program would turn out to be so varied or successful. We’ve led hikers from all over the South and even as far away as a visitor from New Zealand. Just as amazing, we’re still designing new hikes and experiences for walkers and supporters who come back year after year,” says Danny Bernstein, founder of the Classic Hikes of the Smokies Series and hiking expert and author. An all-inclusive overnight in Townsend, Tennessee will provide the chance to experience Cades Cove on June 11-12th. Participants will choose from three guided hikes in this special and highly popular part of the park. More details and registration for this special fundraiser will be available mid-February. 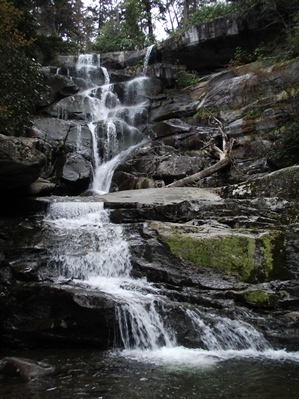 Other hikes in the series include Ramsey Cascades, Albright Grove Loop, Chimney Tops and Kephart Prong, among others. To learn more or register for any Classic Hike visit Hike.FriendsOfTheSmokies.org. Individual hikes are $20 for current Friends of the Smokies members and $35 for new and renewing members. Hikers interested in registering for the full nine-hike series (excluding the overnight experience) can mail a check before March 1 to Friends of the Smokies, PO Box 3179, Asheville, NC 28802 for the discounted series registration rate of $160. The Classic Hikes of the Smokies series is sponsored by Smoky Mountain Living, Mission Health, Diamond Brand Outdoors, Equilibar, HomeTrust Bank, Smoky Park Supper Club, and Leap Frog Tours. Shenandoah National Park is pleased to award the 2018 Shenandoah National Park Trust Research Grant to a team from the Smithsonian Conservation Biology Institute. The project will look at forest changes related to the invasive emerald ash borer (EAB), which kills more than 99% of the ash trees it inhabits. Forests in Shenandoah National Park (SNP) and the surrounding region are already being impacted by this forest pest. “Understanding how our forests will change with the widespread die-off of ash trees will help us prioritize our resources to manage invasive plants, hazard trees along Skyline Drive, and most importantly the public’s connection to and acceptance of the park’s changing forests.” said Jennifer Flynn, Superintendent at Shenandoah National Park. While EAB is new to the region, it is not the first invasive to cause a wave of tree mortality. Over the past century, invasive insect pest and pathogen outbreaks have resulted in significant declines of multiple native tree species, including the American chestnut (affected by chestnut blight), flowering dogwood (affected by dogwood anthracnose pathogen), American and slippery elms (affected by Dutch elm disease), eastern hemlock (affected by hemlock woolly adelgid), and all species of oak (affected by gypsy moth). Each of these invasive-driven waves of tree mortality has substantially impacted forests.